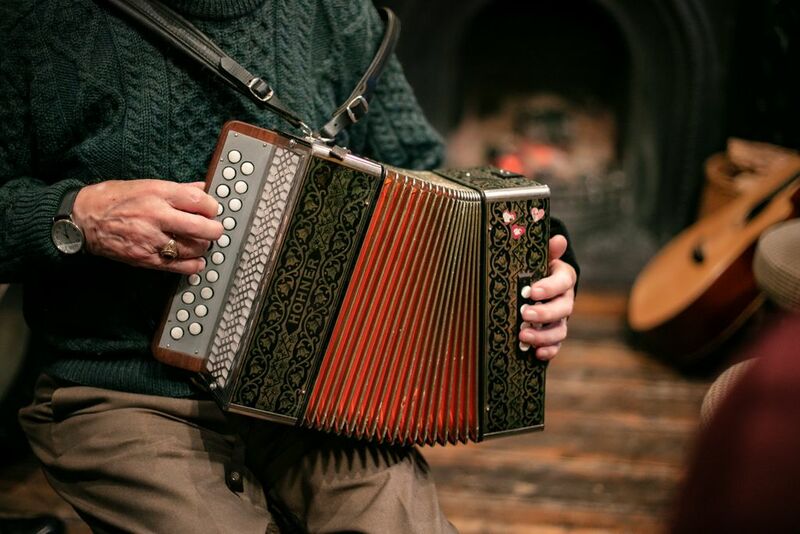 Every year Louisburg hosts the Feile Chois Cuain, a traditional music festival attracting a large number of music enthusiasts from many parts of Ireland and abroad. The event has earned an enviable reputation as one of Ireland’s premier traditional festivals with many of Ireland’s most revered performers returning to the festival year after year. This year it will take place from Friday 3rd May to Monday 6th May. It is renowned for the high quality of its informal sessions in pubs and streets all over the weekend. Everybody is welcome to join the music, sing a song, play a tune or dance a step. It is also well known for the concerts and for the classes in every traditional instruments such as harp, accordion, fiddle, flute, tin whistle, concertina and banjo and in sean-nos singing, ballads and set dance. 11.00am-12.30pm Club na Féile: Spraoi do Pháistí ó 4 go 8 mbliana d’aois. 8.45pm Grand Concert Music, song and dance featuring Dylan Foley, Tony DeMarco, Eamon O’Leary, Seamus Tiernan, Conor Crimmins, June McCormack, Michael Rooney, Clíodhna Costello, Nora Butler and a host of other artists. 4.00pm Music of the Gaeltacht In this concert we showcase a variety of styles from the various Gaeltacht regions throughout the country. 12.30pm “Slán Abhaile” Sessions Music and singing sessions in all pubs over the weekend. Dylan Foley, Tony DeMarco, Eamon O’Leary, Seamus Tiernan and Dermot Byrne.